Coloring my hair isn't as simple as it used to be. The hair of my teens and early 20's could handle the harsh chemicals found in drugstore hair dyes, and frequent colorings didn't affect my hair negatively. Now that I near my 30's however, my hair has become extra sensitive to what I do and how often I do it. I've been dying my hair regularly for over 12 years and have no intention of stopping, especially with inevitable grey's right around the corner (yikes!). So it was time to look for something easier on my hair that lasted longer than traditional "permanent" dyes do in my hair. 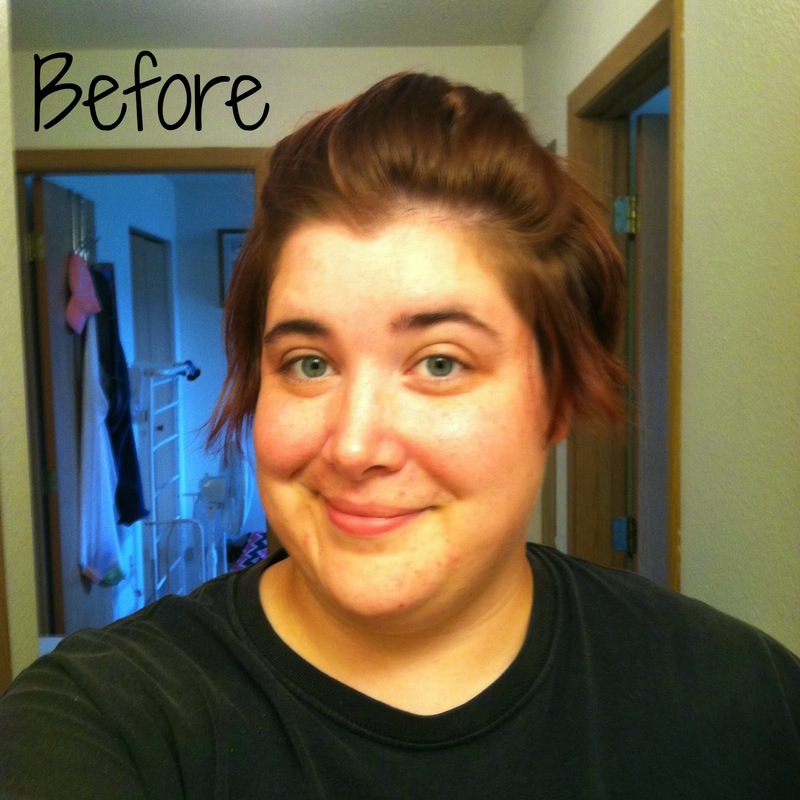 I only recently heard of henna hair dyes, and that's when I came across Henna King. Henna King is a "one stop henna shop" that offers 100% organic and vegan henna products for hair dye, beard dye, body art, and cosmetic stains. Henna King sent me a hair dye kit in the color "Wine Red" which I instantly fell in love with when I saw the model online. They ship Priority, so I received my kit just one day after it shipped! As per the instructions, I washed my hair, dried it, and went to work. I mixed half the bag of henna dye powder (since giving myself an altered pixie cut, I don't have much to color anymore lol) with enough water to make a runny paste. The instructions advised I use a glass bowl since the color will stain plastic, but I didn't have one big enough to mix well enough in, so I used a red plastic bowl. Using the included gloves, I mixed the dye well with my hand, added some rose extract to enjoy during the coloring process, and started applying it to my hair. It felt like I was rubbing mud in my hair, and I honestly became a little worried (this was my first ever experience with henna) and started thinking there was no way this was going to color my hair. But I finished applying, making sure to evenly coat all my hair with this henna mud mixture, then put on the included shower cap, and cleaned up. The instructions say to wait 1.5 to 3 hours before rinsing from your hair, but because the life of a mother is never slow or all that relaxed, I couldn't wait the full 3 hours and ended up washing at the 2 hour mark. I became extremely nervous when I took off the shower cap to reveal the exact same color of mud on my hair as when I began. I jumped into the shower and started rinsing. Mud fell to the shower floor, and then the water started running yellow. I panicked... I rinsed a little more and ran to the mirror, where I did NOT see a head of yellow or brown hair, but a beautiful shade of "wine red" that immediately tugged my heart strings. My hair felt soft and luxurious, and still held the scent of roses. Beautiful! I cannot rave enough about this amazing hair color from Henna King. One packet (100 grams) is very reasonable at just $9.95 each, and they offer a bulk deal of buy 3 get 1 free. 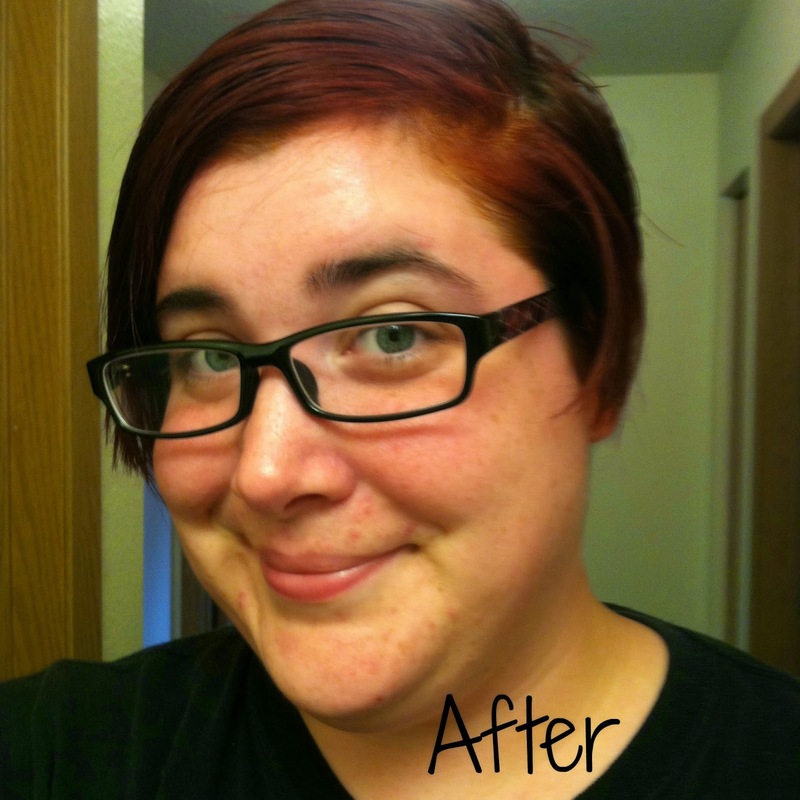 Continuing to use Henna King will cost me only $5 (or less if I buy in bulk) each time I color and enhance my hair. I'm in love, and I know you'll love it too! Disclaimer: Baby and the Chi's blog received the product(s) mentioned in this post for the purpose of review and evaluation. Baby and the Chi's is not responsible for prize delivery. No monetary compensation was received for this post. This blog contains affiliate links.